This time Jesse shares with us his review on a book that may be quite well known to many readers on this site. 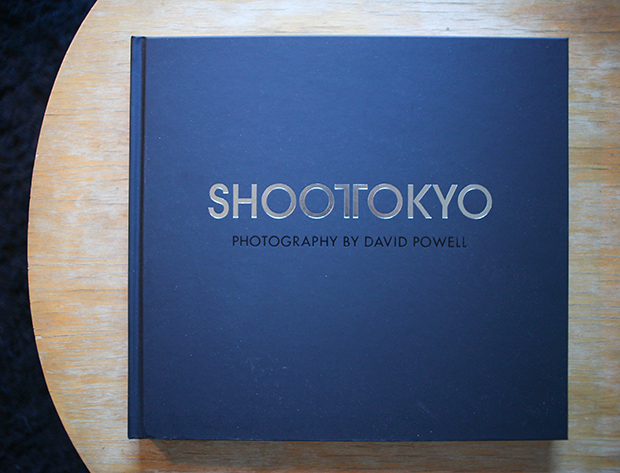 Dave Powell’s ShootTokyo book gets a review. Check it out. Shoot Tokyo the Book…the ad of which should be on the right side of the screen as you read this. I am deviating here as I usually keep my reviews as laudatory as possible, however I admittedly jumped at the chance since I could use it as an example for some ideas I wanted to work out. Now his name is always one that I have heard come up in foreign photography circles (never Japanese) and not really in a positive sense. Work aside; I could kind of see why as his camera collection that he flaunts on his site alone could be prorated at $40,000 (begging one to question the sincerity of his use of crowd funding). However my concern isn’t about his cameras but really the content and what it says about him and a whole demographic of people who demanded it through his absurdly successfully $40,000 Kickstarter campaign that brought about this book. Living here for nearly a decade I have always found it disappointing in what other foreigners like myself see in Japan. More would have seen Tom Cruise in The Last Samurai than Toshiro Mifune in Seven Samurai, or read John Hersey’s story on Hiroshima than Masuji Ibuse’s. We like to experience Japan but only through means of orientalism. It is as if we need western interpretation for it to become acceptable even at the risk of parody or inauthenticity. Japan is ripe for this since its insular nature begs of it. And simply put…we demand it. Why have a real view of something whether good or bad when we can have something tailored to our temperaments? This is literally a Hollywood formula looking at Dances With Wolves, The Last Samurai, The Last King of Scotland, Avatar, Pocahontas, Fast and the Furious Tokyo Drift, Shogun, etc. Their context is all the same, a westerner goes into a foreign culture and the whole takeaway is a glamorous process of self-actualization often at the expense of a non-western culture. Every time the moral focus was on the individual’s own sensory experience while entertaining us with examples of the exotic. Underlying it all is this unconscious recognition only of the differences rather than similarities that is the stem of a lot of the cultural misunderstandings today. Tailored to our temperaments…in comes Shoot Tokyo. Now stemming from the title I would expect nothing less than shots of Tokyo and it delivers. I mean it is a complete book of all things Tokyo. In an economical Joycean manner I can actually describe the whole book (literally rendering the rest of this paragraph meaningless) with the following: kimonogirlcherryblossomsfujipikachuyakitori3/11nonukesprotestsgirlsgirlsgirls-ramensushikarokeshinjukushibuyasalarymanpolicemanpackedtraingirlsgirlsgirlsschooluniformsumoshibainugirlsgirlsgirlsshibuyacrossingmonk. It is divided in two halves, one in color and one in black and white. The color section seems to tell a loose story of photographs from just before the 3/11 earthquake to the present. Opening with the backside of a woman in a kimono we get a few low aperture cherry blossom shots, a Tokyo landscape, and festival. Then there is a message indicating it is 3/11 that if you were in Tokyo know strangely caused a sporadic amount of fires and the one captured here was near Roppongi Hills. In the aftermath of Fukushima there was a reactionary response in the form of a series of anti-nuke protests that he shot. This leads to a series of Japanese restaurant shots, a karaoke store front followed by train shots, and urban landscape shots. Occupations that require uniforms and girls, roughly make up the rest before some more traditional shots. Then it switches to black and white which in its editing becomes looser. A woodblock a print of sumo wrestler juxtaposed with a real sumo wrestler presumably met in a bar is as creative as it gets. With that said I prefer the black and white work more, there was a particular pairing I enjoyed (below) that features three similarly dressed women. In addition to having similar clothes their accessories and hairstyles are all quite similar and in their composition form a perfect eye line in what was more than likely a brief moment. They are coming from a wedding and represent well-to-do women of society while the woman in the shot on the right serves as a contrast with bleached hair, piercings, and a tattoo. This is then followed by an afterward and a self-introduction. As much as the content, the presentation itself is just as notable. The paper is exceedingly thick. This isn’t Tokyo per say but an offering of what you think and want it to be. The salary man, kimono girls, and the sumo wrestler aren’t living people that we understand through the photographer but instead characters. And by this a character is a caricature. Now this is no fault to Shoot Tokyo nor I am going to single him out as pioneering the oriental perspective of Tokyo, because in every medium this is prevalent if not abundant and there will be more (look at all the personal documentary journeys through Tokyo on Vimeo that reiterate the same motifs). It is as if they are permanent tourists that can only express clichés that any travel guide can and has already confirmed. Disappointment is furthered by the fact that he has actually been in Japan since 2001 and yet can still only express as much. Tokyo is special in that we have seen it so many times and upon arrival are blown away about how easy it is to photograph what we expected to see. The photos here all feel like tourist shots as all locations are easily identifiable and like a tourist he never really connects with any of his subjects and never penetrates deeper than the surface. Now I can’t comment on whether his ambitions were any better than this but certainly you would hope for one to aspire to more especially if the pitch is inspiration. Otherwise, it is just business in that you are here to give people what they want. And that is what this book makes clear; this is not the work of an artist, but of a successful businessman. The perfectly executed Kickstarter Campaign, the website that features 40 dollar t-shirts, the algorithmic savvy name ShootTokyo, the you-can-do-it-too appeal of a normal unassuming Sunday photographer who decided to make a blog on a subject that is exotic, are all executed to be commercially viable. 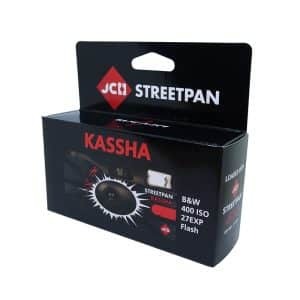 And really because of the Internet to be successful at photography one should seriously study marketing or web design. To illustrate this I will use another person I feel built the same type of machine in Eric Kim. If you followed him from the start till now you will see he is pretty much winging what he does as he changes his philosophy to whatever external influence he comes across (for example a Charlie Kirk) and offers back to us a highly accessible understanding of his own personal discoveries. We only see that because he put himself out there so we can see his growth and I can certainly respect his hustle. Think we all do in both of them, but that is what it is…a hustle. It is important to separate the hustle itself from the result. I would consider neither an artist but extremely intelligent businessman who have made themselves a machine modeled around accessibility. The crux of the Sunday photographer/street photographer has always been gear and everything irrelevant like networking and blogging, instead of simply going out day after day relying on your camera, your eye, your own sense and knowledge of composition all while considering variables of light, darkness, color, line, value, and spatial division in order to capture a moment at its highest beauty and perfection. But you see Powell is smart nowhere does he make a claim to artistry (well I didn’t really look) and if anything contradicts such an argument through the humble unassuming approach he takes. But calling a spade a spade the work is shallow and for his demographic that is entirely fine. The blame should then shift over to the people who want this. Because for the businessman, no one has ever went broke underestimating the taste of the public. Jesse asked that I do not alter this piece from as written, this includes the section with the line through. Your thoughts and comments are welcome. Please keep it civil. The review feels a bit harsh and somewhat unfair. Innuendos like “Now his name is always one that I have heard come up in foreign photography circles (never Japanese) and not really in a positive sense.”, don’t do the review any favors either. +Hmmm…on the contrary I thought it was quite objective and honest. The innuendo you quoted is true…which isn’t always fair. I thought I broke down all my points with opinions that were backed with solid reasons and references…and should carry weight based off that. Of course this doesn’t have to be accepted and I understand that. But if this were just harsh for its own sake then there would had of been no reasons put forth which serves no one…however this does, it just requires a bit of honesty. Well, my personal impression of the review is that it comes across as if you are reviewing a person rather than his work. That’s all. Fair enough, no worries at all. It seems like perfect tourist photography of Tokyo. That’s what people want to see outside Japan. But this is not real. It’s perpetuating the myths and cliches. The reviewer writes he does not know David Powell personally. Yet he speculates about his character. Had he actually preferred that David had tried to prevent him from getting a review copy? The reviewer sees the reason for David’s success in that he is able to leverage all kinds of internet marketing instruments for his venture. Is it beyond imagination that for someone with David’s professional background using exactly these instruments for a personal hobby might come just as natural? Now, should he have played a bit dumber to please reviewers, not upsetting them by too much unduly success? I think the review could have benefitted by refraining from these dubious references to David Powell as a person/businessman. There’s certainly a lot to criticize about David’s photography (as about everyone’s) but this review seems overshadowed by a kind of envy of the success story of a “smart businessman”. The reviewer sees the reason for David’s success in that he is able to leverage all kinds of internet marketing instruments for his venture. Is it beyond imagination that for someone with David’s professional background using exactly these instruments for a personal hobby might come just as natural? +I praised him for this savvy-ness in using his skills. There’s certainly a lot to criticize about David’s photography (as about everyone’s) but this review seems overshadowed by a kind of envy of the success story of a “smart businessman”. +Overshadowed by frustration at orientalism and then separating business from actual artistic content would perhaps be more accurate…because I certainly (again) do praise his business savvy. A very honest review, Jesse. 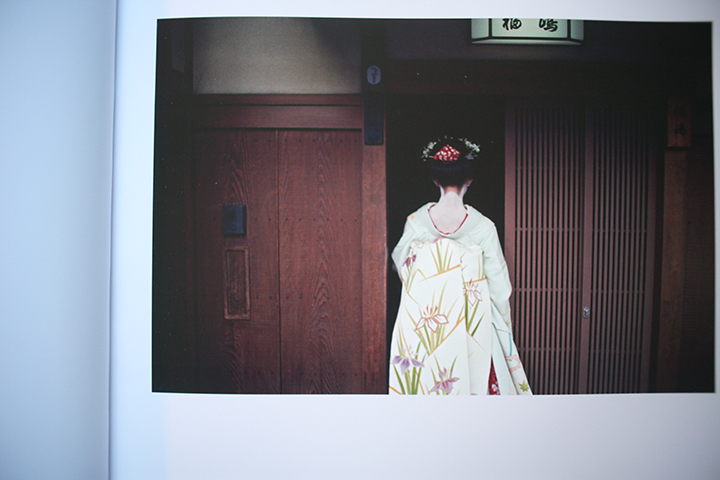 I’ve seen the book at Tokyo Photo fair and my impression was that it has nothing to offer (to me, at least). It’s a patchwork-y collection of “best” shots from someone with a very poor cultural background of the Japanese photographic universe and who’s mostly concerned in promoting himself and his brand. I believe it is a little unfair and pedantic to reject this work under the assumption that this is no Art, whatever that means. You also reject any orientalist views on Tokyo, well, I am pretty certain that you would hold similar preconceptions and cliches about other places you don’t know, no matter what you tell yourself. Like you said, it might not be the reality of the city you live in, but it is the reality of thousands of tourists visiting it. These people might be happy to get access to this work as it might recall them the wonderful time they had in Japan, I can’t blame them for that. If they want to go beyond that, it’s up to them. On the structure of the critique, you have the entire right to dislike his work but you are not doing yourself any favour by criticising the person. The guy runs a pretty successful website and collected money to edit a book, good for him, that is certainly not a reason to spit on his face, you just sound arrogant and frustrated. If you hold such different views and feel the urge to educate all these stupid tourists, promote the work you feel is worth buying. I tend to agree with some of the above comments. Attacking the ‘person’ or his ‘motives’ is the cheapest trick in the book. I’ve read some of the author’s previous reviews and I’m quite disappointed of the approach he took for this one. I do reject orientalist views. And of course I would hold similar preoccupations if I went somewhere else as anyone who is a tourist…which is the point. He is not a tourist he has been living here for over ten and yet can’t express anything past a tourist who has been here a week. Also another point! For this review I say in his case I am not sure if his aims are any higher but what I then do is illustrate that there is higher beyond orientalism and with the majority of my other reviews do attempt this. I wouldn’t call tourists stupid that is unfair, because by definition are certainly naïve. A tourist comes into a situation they have never experienced. For someone who has lived here for so long he offers nothing more, so what I want to do is say, “hey there actually is more and do it with a lot of this reviews on the Shinya Arimotos, Ikko Narahara’s, etc. which maybe you haven’t read. So maybe my harsh criticism of this that got your attention will get you curious about the beyond that I am trying to promote. And therefore would do myself a favor by exposing to people on the outside a more accurate depiction of a culture I really do love and appreciate. 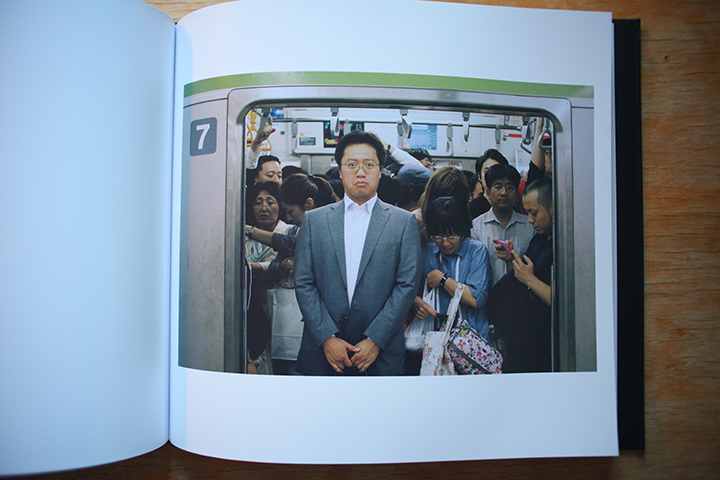 While I understand the review, shoottokyo never claimed to be an art book. 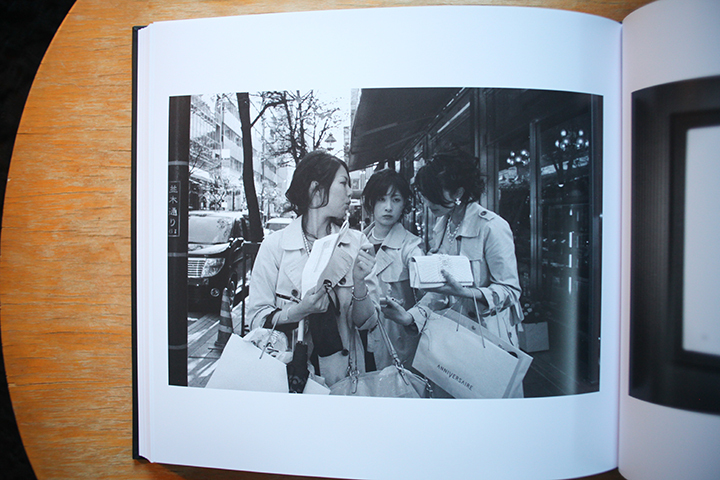 It is a very clear cut book on images of Tokyo. There is no claim otherwise. If you follow the site, you knew what you were getting. That is why he was successful. 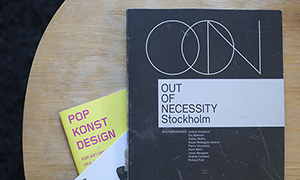 Now, as a photobook collector, I have paid a mighty dollar for books that claim to be art photography and end up nothing more than stream of consciousness images that do little for effect other than guessing there is depth due to the lack of subject matter. I don’t like open ended interpretation photography. It reeks of self importance and insults the viewer. In saying that, is this book great? No. But, I also can say that this is not a case of mistaken identity. It is what it is. Well produced books with a tourist view of Tokyo. If the reviewer did. To know that going in, then he didn’t do his homework. Being overly critical after the fact, when you got a book for free, seems like an exercise in self indulgence. I say that because one would never buy a book that didn’t spark their interest. Fair enough. To an extent I did self indulge in using this book as a platform to express my ideas of orientalism and social media machines precisely because it didn’t spark my interest and was free. With that said, if the work demanded more than I would of offered more…It is like trying to review Transformers 2. Why would a critic waste time breaking down say the misen-en-scene of shots here and there? He would sound ridicules because the work doesn’t even attempt as much. He would instead use it as a platform to discuss perhaps the franchise or Michael Bay films in general…because the work merits nothing more. Don’t quite understand this part, so could better answer with clarification… but don’t believe anyone saw this book as a tourist view of Tokyo and why would they since he is not a tourist? Clarifys something about that book for me. Some pieces are falling together amd that makes sense. A business model. I enjoyed the pics but that was some shoots i would also shoot. And i lived not 10+ years in Tokyo. What i seen that his gear improved…. It really is a great business model though and I respect that. Thanks for reading! This article reads not as a review of the book but as an attack on a man. But not a fair balanced position but rather an attack on Jesse’s supposition of whom the man is rather than who he actually is. Before he casts aspersions on Dave ‘s character, how about actually talking to him. If Jesse had reviewed the actual book as opposed to a few main images and then made suppositions on the author’s character and intent, then yes it would be a fair review. However, he didn’t. 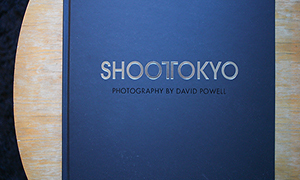 The concept behind the book is simply an amalgamation of the favorite pictures of both the followers of Shoot Tokyo and Dave. Every image has been available on the website. And if one actually looks at his site and reads his blog, one finds that it is just the blog of someones daily ramblings through Tokyo. For every salary man or girl in kimono, there is also a picture of a nuclear protest or police blockade or a dog in Jiyugaoka bar. 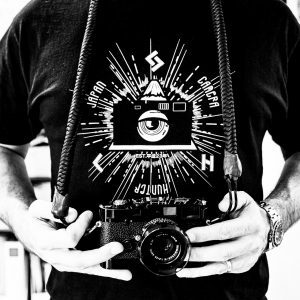 As to his camera collection that Jesse describes as “flaunting on his site”, that comes across at petty jealousy. Why does Dave have a gear page on his website? Because despite having that page people keep asking him what he shot with, what computers/scanners/drives/etc. he uses. It is much easier to point people to a page with a complete list than to respond to every single email. Furthermore, Dave loves rangefinder photography. 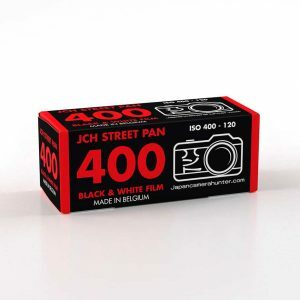 He shoot both film and digital. But if you want a current made digital rangefinder then you buy a Leica. Dave wasn’t born with money. He wasn’t born with a silver spoon in his mouth. He worked his way up from nothing to a position where he can save up for a bit and buy it. Jesse writes “With that said, I have never met David Powell and have only heard nice things about him from those who actually know him and nice things about his car and cameras of course. Through Bellamy, he gave me a code to get this book for free with (I believe) the knowledge that this was more than likely not going to be a favorable review and from what I heard responded, “regardless I just want him to have it.” Says a lot about his character but also his business savvy, as there is no such thing as bad publicity. ” ~Uhm no. Dave gave you a book cause he IS just that nice a guy who runs a nice blog and worked hard to print a nice book for the people who like it. review was strictly on his work and in context of orientalism and social media machines. Ironically, if you remove your subjectivity you can see that your whole response only talks about his business side and his character, which for the former proves my point and validates what I say and the latter is irrelevant because I never once said anything to warrant such statement about him coming from the bottom, or how hard he works, which would of actually been attacks on his character. I think his Leicas are dope! And you say he shares that info because people always ask and I address this as well with the crux being preoccupations with gear bit in the review. So strangely you just kind of proved all my points I make in the review that since if read objectively addresses all of this. I am a regular reader of Daves Blog, I also backed the book on kickstarter. Mainly as I prefer books over a screen. But also as a thank you to Dave for running his blog. I read his blog and see the Tokyo I want. I want to be the tourist and his photography gives me a great insight into the “tourist” spots I would visit. His images fit perfectly into the “street photography” area. Are they all amazing images that I can’t get out of my head…no. Are they poorly executed..no. 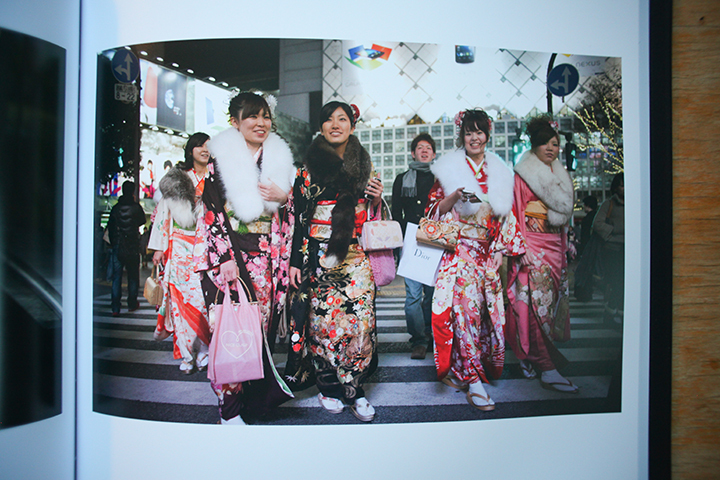 It’s a nice quality book with nice images of a touristy Tokyo I would love to visit one day. I agree with a few others too, your review does seem to be Dave and his Leica’s related and not his book/work. I appreiciate your input though Jesse. In turn I appreciate yours! Think his work doesn’t merit much more and really I felt I used Dave’s WORK to express ideas of orientalism and social media machines…which some have taken as character insults which I did not make. Personally I think that this review is direct, objective and honest. And that is something that we all need to see from time to time, an open and honest review. And the amount of detail that this review dives into to make it’s points I do find to be impressive. Including the section with the text with the line though it. If anything Mr. Powell should not take this review as a “bad or poor review” but as one that shows some insight as to what may or might need to be improved on with his photography, or his next photo book if he decides to print another. Granted I do not own a copy of this book, but from what I have seen from the photos of the book and of the photography that was used in the book. It looks as if some of the street photography photos just look like they were staged and not natural. Mind you I do quite a bit of street photography myself, and my photos in comparison don’t have a look of being staged, at lease I think so. That’s just my opinion. I don’t think that this review is criticizing the person (Dave Powell) but to those who feel that this review is doing so. 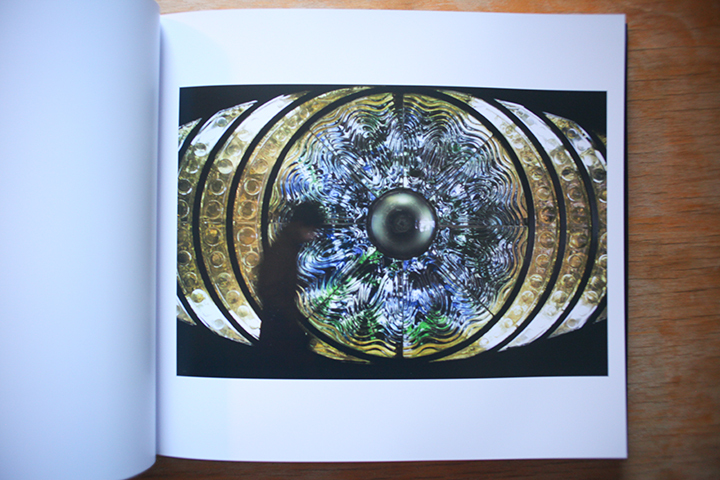 You have to remember that the photography in this book is a reflection of the person that had taken the photos. Thank you! For the first time ever I had several people edit this because I wanted it to be objective and honest. And if I am to criticize I need to fully back reasons why…out of respect for my subject and readers. AND REALLY I want Mr. Powell to take something from this and hopefully give it to his large base so everyone can maybe not necessarily expand but at least be conscious of these oriental trappings. I have nothing against him as a person and thought I honestly expressed that. I would understand if I said the problem is rich assholes like this guy, or man is he dumb, or why does he need 12,000 dollar Leicas (the reference was to how I could see why some would judge him based off this in which I said I don’t as I get judged for my Leica use as well)…there was none of this. It focused on his work in context of orientalism and social media, and the distinction between business and art, which admittedly on camera gear blog isn’t ideal but is direct to the demographic who would be more likely to object/benefit. Exactly, everyone should buy his book and see for themselves. I agree with many of your sentiments about this book. It strikes me as a vanity piece by a dad with a fancy camera; there is little substance or flow. It’s the unfortunate kind of work that non-photographers think photographers do. With that being said, your piece comes across as personally bitter and vitriolic. The work in the book is playing into expectations and doesn’t really have anything genuine to offer, but it doesn’t strike me as pandering or malicious, either. If this was the sort of thing that showed an obvious contempt for its own audience (like some of the movies you reference), then you might have a leg to stand on. But as it is, what is your point? What are you so mad about? That a guy has money and some people on the internet have dubious taste? I’m sorry, but I just can’t see this book as a cynical attempt to dupe the great unwashed of the online photography sphere out of their hard-earned rubles. It’s just a somewhat naive attempt at a photobook by a guy that has the means, but not the justification, to make that happen. It just feels like you’re compelled to make a personal attack against someone who isn’t even consciously making any sort of statement for you to disagree with. Yes, it is very easy to criticize this work, but why? 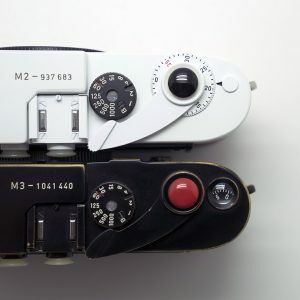 Anyone with an art background can immediately recognize it for what it is without you pointing it out for them, and if the Leica dads of the world want to spend money on it, who cares? It’s like an art history professor brutalizing a kid’s drawing. A final aside: I find Eric Kim as grating as the next person, but what does he have to do with any of this? He is someone whose exposure far outweighs his talent, I’ll grant you that, but he is hardly guilty of the cultural sins you’re leveling at David Powell. Like this comment as well. I will work backwards. He was just used as a relatable example to social media machines similar to that of ShootTokyo, certainly in not relation to anything else. I would disagree that this is at all a personal attack instead it focused on his work in context of orientalism and social media, and the distinction between business and art. (sorry i am copying and pasting now) Think the rest is addressed in previous comments above…if not I will gladly clairfy. Thank you for your reply, Jesse. The crux of your argument to all this negative feedback is that you’re rejecting orientalism, not Powell as a person. Fine, but who made you the arbiter of what is an acceptable way to portray Tokyo? Excuse me if this comes off as rude, but from what I understand you are not a Tokyo native either and the things you’re saying smack of the exact sort of condescension you’re accusing Powell of. Not to put too fine a point on it, but who needs another white guy deciding what’s appropriate in a culture that’s not his own? Do you see what I mean? By your own admission the Japanese photographers you know have no interest either way in this work, so why not take that as a sign and leave it at that? It’s fine to say the photographs aren’t interesting from an artistic standpoint, and I would literally be the first person in line to agree with you. But to say unequivocally that they’re “not art” and frame everything in these business terms is troubling to me. The guy obviously has a lot of money and isn’t living off the sales from this book. Whether you or I like it isn’t the issue, it seems clear to me that it’s sincere. Like a boring but sincere family photo album. Why rip something like that to shreds? I see no *intent* to be cynical or condescending on Powell’s part. Look, I’ve enjoyed some of your other reviews and it’s abundantly clear that you know more about art than David Powell. But that’s why it seems like bullying. Who is this book a threat to? By attacking it in such a singular way, I really think you’re giving it a weight it doesn’t deserve, and never was intended to have in the first place. I am not shooting or promoting stereotypes, so I feel I can be the arbiter in calling a spade a spade when it is that. I will say there has been really amazing, western interpretation on Japanese culture just look at Donald Ritche and Donald Keene. For example, Ritche single-handly exposed the west to Ozu films when Japanese distributors refused deeming Ozu “too Japanese” for anyone outside of Japan to understand. Ritche argued to the contrary and got Ozu introduced and now today his film Tokyo Story is ranked as one of the greatest films ever made. This was a direct result of western interpretation that did good, but clearly there is a difference between this and promoting stereotypes/clichés of a culture. 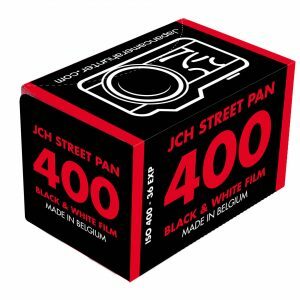 Refuting your other criticism of me, through these reviews on JCH and my own blog I try to promote lesser known Japanese films, or ikebana; his blog he sales t-shirts and shoots clichés of Tokyo. Nothing wrong with either but should come off logical when I frame it in terms of business…no? This is pretty tangential to your main points, but it’s an argument that frequently comes up in cultural issues and is, I think, flawed. First of all, Jesse never claimed to be the perfect arbiter, but did present *some* fairly objective evidence against common western portrayals of Tokyo (I’d have liked to see much more of this, and less attacking of Powell). To be clear, I am not defending the review itself, nor how Jesse approached it, but I am defending the point Jesse was trying to make. It really just comes off as a shameless, personal attack. That was barely a book review. (begging one to question the sincerity of his use of crowd funding). Huh? sincerity? Obviously you understand how crowd funding works? And FYI he was only going for $5000, min needed to do a book run. I think it was awesome he did 8x that!. How did yours go? You say you don’t know him. But you talk about his character, which says tons about yours. And the example was his work in context of orientalism and social media, and the distinction between business and art. There is nothing personal made toward him or Eric, and if anything expressed admiration for this business savvy. I would understand if I said the problem is rich assholes like this guy, or man is he dumb, or why does he need 12,000 dollar Leicas (the reference was to how I could see why some would judge him based off this in which I said I don’t as I get judged for my Leica use as well)…there was none of this. In fact the only personal attack here was you against me. No worries though man. A brave and honest review, Jesse. For a time I followed the “Shoot Tokyo” blog and found the photography boring, quite frankly. Powell’s images seem mostly driven by novelty, and the images secondary to his love of the gear he owns. Don’t be perturbed by some of the harsh responses above – the continued propagation of stereotypes about Japan is harmful. I think most outside of Japan (even tourists!) would like to see a different side, and we don’t necessarily need to produce ‘art’ to do this. Sometimes you just need to call a spade a spade, so well done. For me, the greatest thing about this book is that it has led me to his blog. I understand the criticism of westerners interpreting Japan through another westerners lens but what I like about the blog is that we get to see so many different parts of Japan. Could you recommend any other blogs/books/videos that extensively chronicle Japan through the eyes of a native? Bellamy, thank you for running this site. Shooting film with my Contax T2 and be adding an M6 soon. that is a bit broad..pm me with specifics and I can do that! What’s wrong with being a tourist? As a tourist visiting a country very unlike one’s own for a limited time, it’s usual to have some idea of what one wishes to see there. I hope to visit Japan this year for the first time. Yes, I want to experience Tokyo street-life and cityscape, take the Tokyo-Kyoto bullet train, tour the old city, etc., etc. I acknowledge the resulting experience will be selective, fragmentary, and inevitably superficial, but there is also the unexpected, including the correction of previous impressions and stereotypes. It partly depends on the tourist. I look forward to studying the book, Shoot Tokyo — perhaps after my visit, when I can compare its impressions to my own experiences as a tourist. By all means get the book, study it, and draw your own conclusions and compare with your visit. Well on the whole, I think as Jesse has stated several times, this is a commentary piece to make you try to look deeper and see Tokyo beyond it’s tourist surface. Having been a few times, and shooting these themes, myself, i found the enjoyment of this type of shot wear off quite quickly. Much as the travel agent photos do, after you’ve been to the destination. I don’t find it to be a personal attack at all. Other than showing the distinctions between an artist, a businessman, a tourist and an ex-pat (who has embraced a deeper part of the society they have found themselves in). I think in the process of creating non-orientalist photographic art, some strong barriers have to be overcome and that can be quite difficult for foreigners. I’d like to see more foreigners work that shows a non-orientalist eye. I personally enjoyed your critical eye for the works, and the internet-success requirements for modern photography. Thank you for understanding and very well put! First off all, I appreciate your time and effort that you put into these book reviews and that you introduce us to works that most of us would normally not notice. In this review though, you actually did not only review the content of the book, but also comment unnecessarily on the author’s person and other things. In my understanding, “flaunt” has a disapproving meaning, to show something you are proud of in order to get admiration. This is irrelevant for a book review. Why not just leave it at that and call it a book review? How is this not getting personal to the book author? How is this not getting personal on those who bought the book? How is this relevant for a book review in general, and in particular why does Eric Kim need to be in a Shoot Tokyo book review? You did not call it a review on social media machine and intelligent business man, but you made it clear in your answer to previous comments that this was your intention. One can have different views on how much social media and business machine should be used by photographers that create books or make a living from it. Even the definition of a photographer is debatable. But does someone for instance has to grow up quite sickly and suffer from severe illness all his life, to become worthy being called photographer, or publishing a photo book? Again, irrelevant for a book review and how is this not getting personal on those who bought the book? You actually imply a lack of culture, style and sense for higher art / fine art of the real Japan in all those who demanded it. I find that almost elitist. 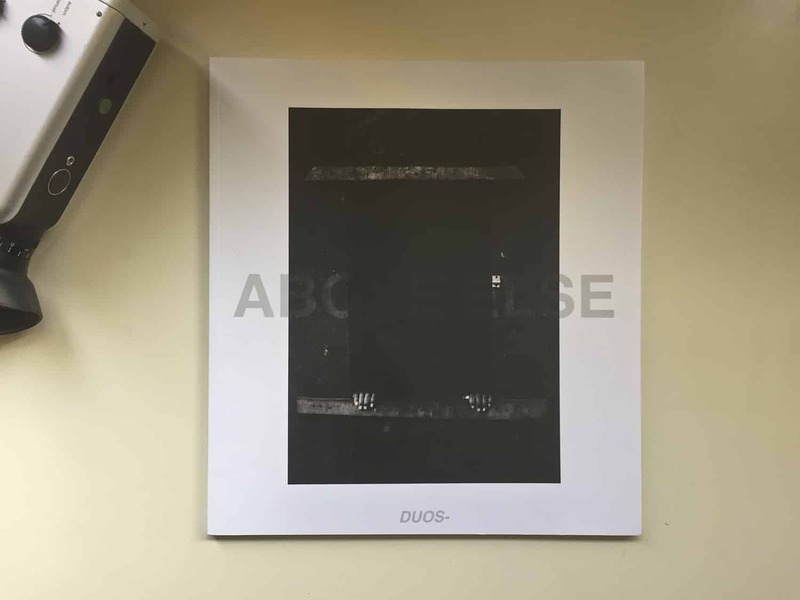 If you have higher standards to a photo book, please educate us. If you would have left it with your Joycean manner and the strike-though text, it could have been a somewhat funny review, that would have created much less controversy. I get your point with orientalism. However, that’s just your expectation, but nothing promised by the author who made it clear from the beginning that the book will contain photos from the blog. Call them shallow photos or touristy photos or boring photos, that many of us could take. Fair enough. This, however, seems to be exactly, what many people were willing to pay for, including me. The fact that for the first time ever you had several people edit this review because you wanted it to be objective and honest, provides a hint that you were writing on the edge, and not in safe territory of reviewing simply the book content. Thanks again for your book reviews. And thanks to Bellamy for providing us this platform. To refute your claim that its personal and “silly” for my non book related elaborations, I will just say a review of anything that doesn’t consider the context in which it was made is worthless. I went through great lengths in structuring this to build and expand my points that if understood as critical writing should be quite evident. To further this I will say the same I said above, *if the work demanded more than I would of offered more…It is like trying to critically review Transformers 2. Why would a critic waste time breaking down say the misen-en-scene of shots here and there? He would sound “silly” because the work doesn’t even attempt as much. He would instead use it as a platform to discuss perhaps the franchise or Michael Bay films in general… I’ll add that I can always identify bored critics or ones who don’t want to commit themselves because when they have nothing to say they often speak of atmosphere and other “silly” things…I instead of being silly, expanded ideas to paint a complete picture. And again for the Eric Kim part (please read the previous comments) *He was just used as a relatable example to social media machines similar to that of ShootTokyo, certainly in not relation to anything else. If I were to say review the film director Yasujiro Ozu’s work with the genre of family dramas in post war Japan I would reference Miko Naruse who was with the same context to illustrate a point. Again basic critical writing. While it would have been funny there would have been know substance and would of actually been insincere to Mr. Powell for just wittily summing up his work without any supporting reasons. Lol well that is your interpretation. I did it because if I was going to be as critical as I was then again I owed it to Mr. Powell and all of his followers to come correct. If you are going to be critical of somebody who in their own way put their heart into something and even gave you a free copy, you owe it to them to be as honest and thorough as possible. I would demand nothing less personally. Really though, all of your issues with the review stem from your own subjectivity and this is true because you identify yourself clearly as David Powell supporter. I neither support or hate him. I think our reviewer makes some extremely valid points here, and I specifically have to agree that with so many resources available to Mr.Powell, why make something so cliche? Jesse, what a killer of a book review! You have certainly shook the tree on this one. People are coming out swinging for you, at you, and everywhere in between. When you speak from the heart and you can expect a lot of heartburn; play it safe and, well, you might as well not play at all. I think your review is spot on and I wouldn’t worry to much about defending yourself or your point of view. You stated your opinion, others are stating theirs – it’s all good. So, take care and keep writing your brave from-the-heart book reviews. It sounds a lot like Dave wanted his book to be reviewed and Jesse did it. Thanks for the review Jesse and JCH, thanks for also sharing negative reviews. Jesse, I appreciate your honesty and insight. You touched on some important points that go beyond the “Powell”-issue. I think the key point here, at least for me, is the orientalism: it is pretty one-dimensional to force a western perspective on “the other world” and creating “drama” by pointed out what’s different. It is almost like dinner for schmucks… Frankly, in some way it feels like the new “homeless people” photography – now that we are done with this we move on to other “exotic” things. I can assure you Dave works his cameras quite hard. He literally wears and shoots one everyday. He may have a variety of M’s but he uses them all quite regularly. None of them are fashion statements or kept in a safety deposit box. I would actually have to disagree a bit. The context was in his appeal of being a passionate unassuming Sunday photographer who started a blog on something exotic and made a business out of it and that by no means would I say his work is that of art, but also I didn’t see him claim to this either. Just because he is rich doesn’t count against his artistic merit, only his content does and the fact that he is a sunday photographer doesn’t count against him one just has to think of a Vivian Maier. I just mention his gear at the beginning to say how I can see how some would hate him for that (I never said I personally did) but certainly I find it curious that if he has that much money why not just pay for the book himself, instead of having his supporters pay for it? Seems insincere to me (why I used the adjective “flaunt”) but smart business nonetheless. Back to the point of money in every medium there have been great well-off artists from literature in Proust to painting in Renoir. Certainly I do respect the poor artist and his struggle more but I would not discount an artist because he is rich and never once did in this review. Again (though I will be accused more lol) the reference to the price of his gear was speaking to the necessity of crowdfunding which later supported the point of his business savvy. There seems to be a pervasive misunderstanding of Dave’s financial status. Dave is most definitely not rich. Upper middle class perhaps but not rich. You ask why he didn’t fund the book himself? Why do a kickstarter? Probably for the exact same reasons you did a kickstarter. Additionally, the kickstarter brought in more funds than expected all of which straight back into the book. Who cares? Defend the work that is being criticized here instead of this creepy knowledge of his personal details. It’s obvious you are his friend and everything you have said has been subjective/bias and more importantly irrelevant, as in the post above and the same ones you made on Facebook. Mate, you’re a critic. Everything you write is from your own subjective point of view. I have absolutely no problem with you criticizing Dave’s book. Do I disagree with some of what you write about it, absolutely. But then again most of your article and subsequent responses are not in the realm of a critic but that of an editorialist. You repeatedly bring up his personal affairs and paint him in an unfair and biased viewpoint to support your article. I’m simply trying to give the readers a more balanced perspective. Thank you Jesse for your bitingly honest review of this photo album of Sunday/holiday snaps. As a regular reader of JCH I have long been puzzled by the hype and amount of coverage of this mans terrible clichéd view of Tokyo and its inhabitants, fine if they are the kind of photos that you enjoy taking, go for it, but keep them to yourself, if you really want to make a book of them, go to the Blurb website and pay for it, put it on your own bookshelf, and perhaps let some friends see it if they really want to, thats where this kind of work belongs, just a personal photo album, an outsiders orientalism. If you want to see the work of an original mind/eye (which if you take the trouble to read the reviews by Jesse, you surely must?) 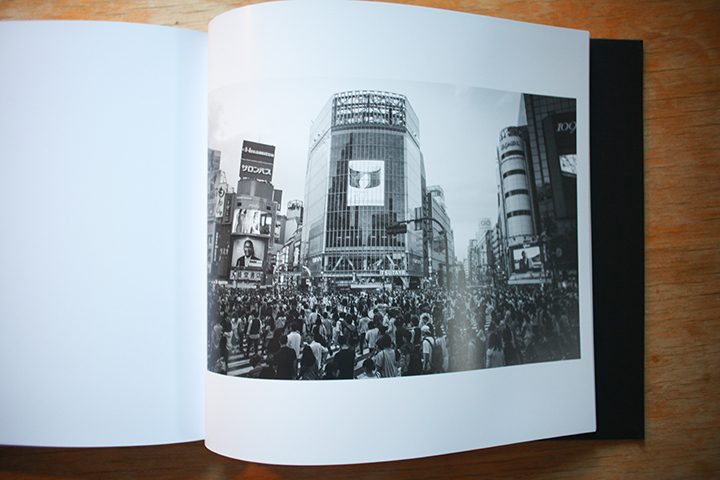 view of Tokyo, perhaps look no further than the recent reprint of ‘Shinjuko’ by Daido Moriyama, or a worthy outsiders view if thats what you want, ‘Tokyo’ by William Klein. 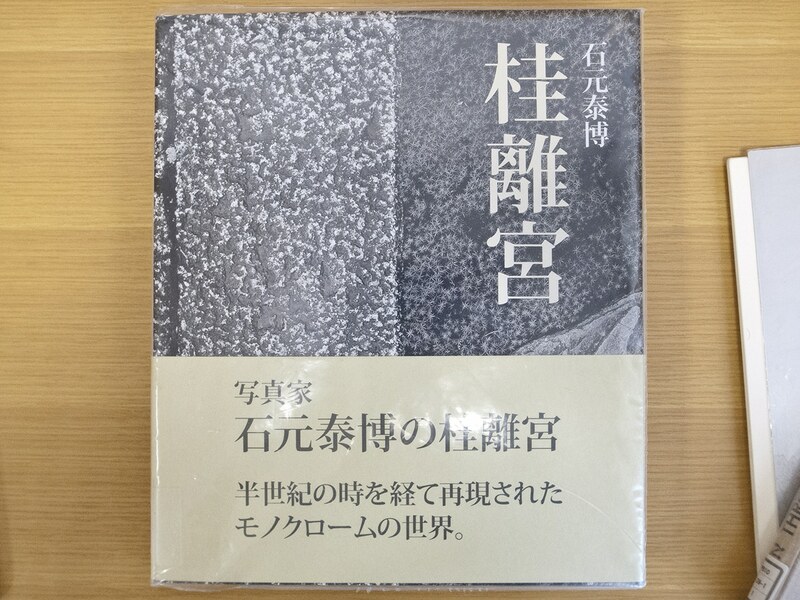 On a more personal note thanks for your review of ‘A Criminal Investigation’ by Watabe Yukichi, which prompted me to add it to my collection, a wonderful photobook. It was a pleasure to read this; my congratulations to the author on writing a mature and incisive review. 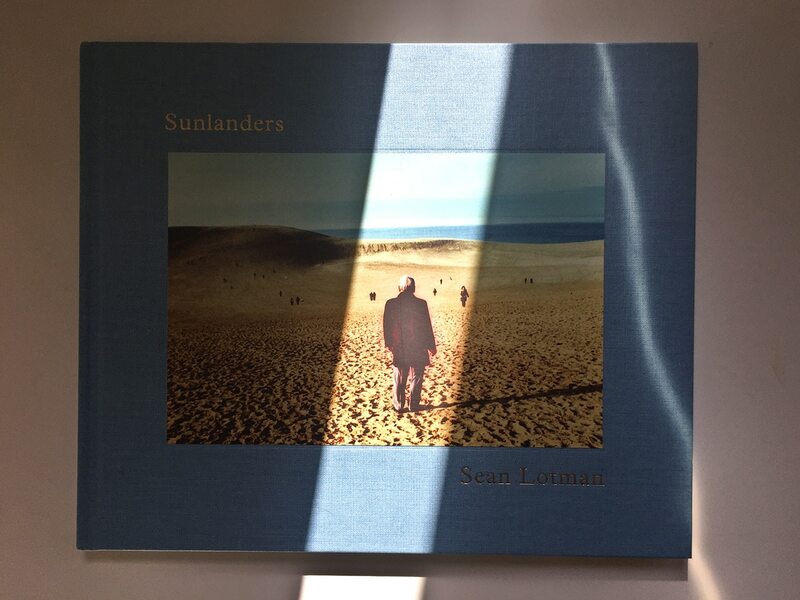 A number of readers question the author’s critique of the individual as opposed to his work, but as a phtotogrpaher’s output is more a reflection of the photographer than the subject matter portrayed, to attempt to separate the man from his work is simplistic and ultimately futile. 54 (and counting) responses — SOME chord has been hit here! I thought the review was fair. Not all reviews are fawning – that’s not what a critic consistently does, or is supposed to. A critic is supposed to present an informed, educated point of view in response to a specific work…and that’s exactly what Jesse did here. Would I be happy getting this review, if it were my book? Likely not, but if I was honest with myself I’d respect the review and I hope I’d be broadminded enough to even post links to it! Nothing here was gratuitous, vicious or unfair. I feel I now know more about this book, and a bit more about some broader issues beyond the book, too. That’s what I call success! Lol, I did huh. Thank you for checking this out and commenting! It’s always a bit of a minefield, nowadays, with the whole area of western culture meeting eastern/Asian culture. A lot of intent or motives can be assigned to someone and there’s a ton of history that colours such commentary. I had an exhibition of my images from China a few years back and a lot of similar terms — appropriation, orientalism, etc. — were tossed around too. It really surprised me, because for me at least all I did was make images that compelled me and interested me; it really started and ended there. I can’t speak to your motives or Dave’s here and don’t mean to imply that either. I just put it out there that perhaps my situation is similar to Dave’s, in creating his images. Once again, my thanks for a good review and a healthy respectful conversation! PS – FWIW, my exhibition is at: http://www.colincorneau.com/galleries/ and listed under, of course, China Exhibition. Captions to come soon…who knows, maybe I am appropriating others’ culture?? I found Jesse’s rant- I mean review (ahem)- very entertaining, and although I share the same opinion I am a bit surprised he took it on. I mean, does a serious music critic review AKB48 for example?? But sometimes when something really gets to you you just have to let it out I guess. This is about marketing. It is riding the crest of a very fashionable fad which before long will change (just as all fashion does). He gave me the book so I reviewed it. Nope, but if tasked with it he would give some info on it then maybe talk about the ramifications that brought about such a group and expand on those ideas…which is what I did here. Bravo! Not every day you get such an honest and down to earth critique like this. As a photographer from Cuba, a country that has been superficially portrayed countless of times, I can relate with Jesse’s statements. It’s very easy to be content with the preconceived touristy perception (In Cuba’s case: bright colors, cigars, mojitos, old American cars) and not to dig deeper. Oh man I could understand! And with the American relations coming about…man. Thanks for the comment and checking out this review! Has been a pleasure mate, cheers! Calling a spade a spade is fair and good, only would I expect that the same standards of review are consistently followed. However judgemental comments on chosen mode of private transportation, price of used and owned camera equipment (ppp please, for proper context), references to circles of appreciation etc. are missing in the prior reviews. So if this is such an integral element of a review as stated then the others must be flawed or severely missing. And the urge to defend/protect the, in this case, oh so special and fragile japanes culture, is as questionable as the attacked orientalism. The ensuing applauding comments are many times just outright comical and nonsense (yes your pictures are better, sure art can only come from suffering and struggle, clearly kickstarter is only for poor people … the list goes on for some time). The narrow-mindedness displayed here easily beats any superficial subjects/locations of the book. Not saying there is not a point in discussing the content and quality of the work. But the chosen approach (and the strikethrough is as lame as shibuya crossing) did not help, at least imo. Well good thing I didn’t use the sneering tone you took above to describe the ShootTokyo book because then you would have some valid points. (As I have stated) The comments were said as a matter of fact and created no correlation to his actual work. It is just of what others have said and for me makes me wonder why Kickstarter would be used (the only intended function). Doesn’t pertain to the work at all as stated. In prior reviews, the work demanded more so I gave more, as was not the case here. For the first time I was given a book to review, had some ideas about this type of work, and so I did it. The others I have chosen on my own will and were generally books I feel positive about, explaining the discrepancy of this to previous reviews. I would worry about someone who goes out of their way to seek things that they don’t like and spend time tearing it to shreds, life is just to short. “So if this is such an integral element of a review as stated then the others must be flawed or severely missing.” Logically that just doesn’t make sense and to use your own adjective is a “narrow-minded” conclusion to make. From this point on it is just unproductive sneering. But its your opinion as you state and to a small degree I feel humbled that you felt compelled to offer it. regarding the tone it is eventually case in point that your piece is viewed as a rant or judgmental by some. Allow me some comments (and Bellamy if you feel this is getting to long for the site please pass it along directly). “In prior reviews, the work demanded more so I gave more, as was not the case here.” >> This exactly comes to my point. A non complex/simpler work of any kind would require also such a review normally, pointing out the more simplistic/narrow nature of the subject. In this case your word count runs up to double that of the prior reviews, subjects of which you feel demand more. This is also referring to your “logical” comment. If you feel such extensive coverage is required in this case i ask why it is not present in your other reviews, e.g. on topics which would lend themselves rightfully for a much more in depth critical excursion (like Shigeo-san). This is where i draw the conclusion (which might be wrong) that this is about other things than the individual work in question. As per your hollywood reference the question is exactly why you feel the urge to go beyond calling the work what it is in your view based on the subject but rather elaborate to a longer extent the merits of it creator? And also a review should take the nature/intention of the subject into consideration. Here we have a book with the selected footage of the blog which focusses on Shibuya and Harajuku etc., not the claim of a view to the “real” or “hidden” Japan. Scolding e.g. the output of majors for being exactly that on the example of single piece of work is indeed unproductive. It is exactly what it is intended to be, so no need to inflate the review with this, or the price of the t-shirts on offer. The “unproductive sneering” is giving context to some of the ensuing remarks which for me are as described. If you demand more than orientalism i believe it is only fair to demand also that the people who chime in on your review of the person/creator to have higher standards than the referred to one dimensional/single sided comments. Yes, i see a tendency that in discussions of this nature interestingly the side that is in our case opposing/criticizing orientalism and its creator is not willing to be scrutinized by the same standards. Again, i value the opportunity to learn about interesting books you take the time and effort to review. However as per the reasons above i see the review in question more a judgmental piece about the person (or kind of person if you will) behind than the work. PS: For Kickstarter and crowdfunding one might want to use a web search on the several aspects which go beyond purely collecting $. Right from the go I said it would be different and would use this review as an example to work out some ideas (as a oppose to simply dumbing down my review to accompany the work which I wouldn’t waste time doing nor would I expect anyone to waste theirs in reading it). I find the popularity of his blog and the success of his Kickstarter extremely intriguing for what it is, and what is it orientalism so with that I explain orientalism, relate it to him and his work, even offer excuses that perhaps his aims were no higher (you say Shibuya and Harajuku though no where in the book is this claim made nor that of a “real” Japan either but gives me room to speculate based off the work…which I do), and instead I make the case for the machine that his blog is (thus the mention and relevance of the price of t-shirts) which I applaud, and believe I did a good job of tying it all together. Everything was correlated. Never before in a previous review do I open with a statement that I will relate some other ideas I have. Instead I just review the work because it deems that, with lesser context to an extent because I am not working out separate ideas then correlating them like I do here, explaining the lesser word count. I am sorry you see it as a judgment piece, but it simply isn’t. Powerful review Jesse. I always appreciate your honest and intelligent critiques. Your fearless, in-depth analysis of Powell’s book is no exception. I believe you should seriously consider coming out with a book of your own work. I would purchase it in a heartbeat. Wow thanks! Somewhere down the line that is certainly a goal! I’d really like some examples of what you feel are real representations of Tokyo, Jesse. E.g. the blog of a photographer you think tends to capture it, something like that. I felt like the review focussed too much on Powell as a person, and not enough on the problems with the book. It is not as if he is the only person doing this kind of thing. And I don’t think there is any sense in apportioning blame; he made this book to satisfy a demand that clearly exists. What this review really needed was to show us the other side. Jesse, you’ve told me that this doesn’t amount to anything more than a visitor’s collection of snapshots, but that is all I have learnt from your review – all anyone can have learned. Where do I look if I want more than snapshots? I like the book. As an American, I love to see how he interprets light and shadow with a cultural perspective. If I wanted to see everyday images of everyday “real” life, I’d look at my own photos. This isn’t a book for Japanese people. It’s a book for people who want to appreciate a side of humanity that they rarely get to see otherwise.